On my Instagram and previous post you could have catch up my visual diary on Poland. Now it's time to share and pass on my insights. Warsaw was such a lovely city and perfect for a weekend getaway. It is not only cheap city break but you can find so much so you won't get bored that easily. I am especially mesmerized by their beautiful buildings in the old town and the vibe in the city. 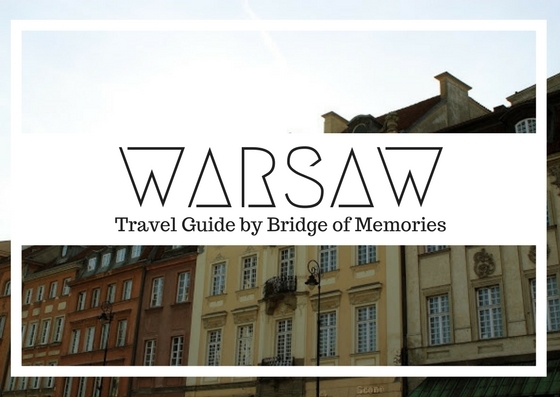 If you are thinking of where to go for a longer weekend or if you have already book a trip to Warsaw, then read further to get some tips on what to not miss! This notable high building is a tallest building in Poland. It is used with variety of purposes. You can find here offices, museum, bookshops, cinema, swimming pool, auditorium hall as well as a terrace with panoramic view of the city. A castle residency located just in front of the castle square surrounded by historic townhouses and Sigismund's column. The Old Town Market Place is the center of the Old Town in Warsaw where you can find many restaurants, shops and a market obviously. It is surrounded by beautiful buildings which looks like in 17th century. These two streets basically connects to each other and reflect the change from historical path way to the modernity after war. Krakowskie Przedmiescie street links the Old town to Royal Castle and you may pass the university and many historic churches and places. Nowy Swiat street comprises the part of Royal Route (continuing from Krakowskie Przedmiescie street). Here you will find many shops and restaurants. This guarded tomb located at Pilsudski square near Saxon Palace is a tomb dedicated to the unknown soldiers from WWI who have give their lives for Poland. There is a changing guard every hour every day. The largest park in Warsaw. If you cross the river, you will be on the right bank of Warsaw in a district called Praga. The fusion of different vibes makes this district to be the best place for artistic studios, galleries and undeground clubs. I wish I could have more time to discover this district in more details, because you may find many post-industrial buildings and streets that haven't been damaged during World War II. Located just next to the central station of Waesaw, Zlote tarasy is a commercial and entertainment complex with a brilliant facade and interior. E.Wedel is considered to be a Polish national chocolate brand and it is a well-recognized confectionery brand producing many yummies. Polish pierogi is a traditional Polish dish which is filled with various stuffing and they are either boiled or fried. How to get around in Warsaw? Where to eat and drink in Warsaw? Where to shop in Warsaw? We have flew to Warsaw Chopin from London Luton Airport by Wizzair.